We are so glad that you have joined our community! Our residents and our Homeowner's Associations work together to keep our neighborhoods inviting and interactive. For information on your neighborhood, including events scheduled, find the contact information for your HOA below. 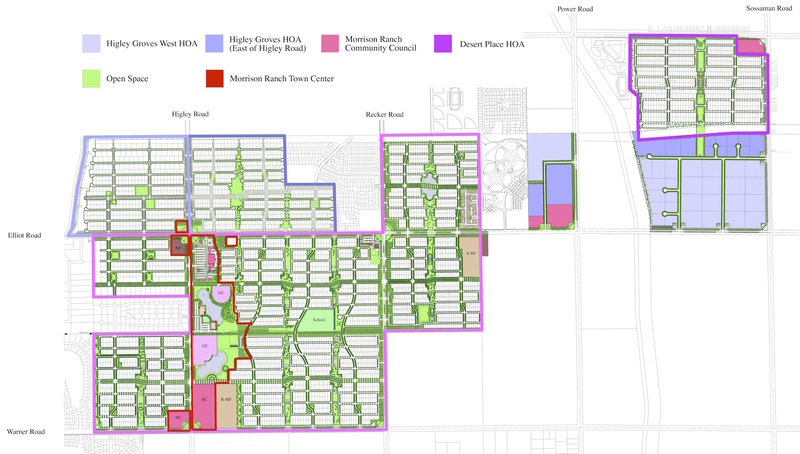 Your community association is determined by your location within the Ranch. Higley Groves East and West each have their own associations, as does Desert Place. The rest of the Ranch falls under the Morrison Ranch Community Council. For questions regarding assessments, reserving park spaces, compliance issues, etc., contact your association representative below. 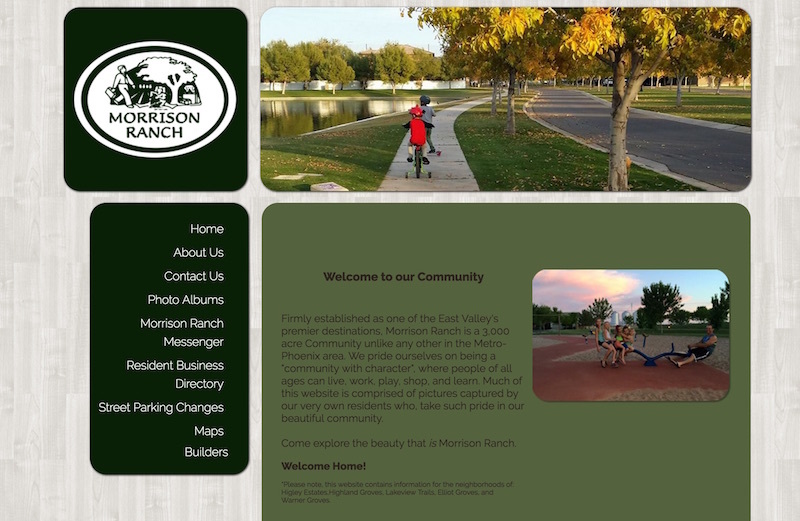 MyMorrisonRanch.org is a website built specifically for those residents within the Morrison Ranch Community Council limits.